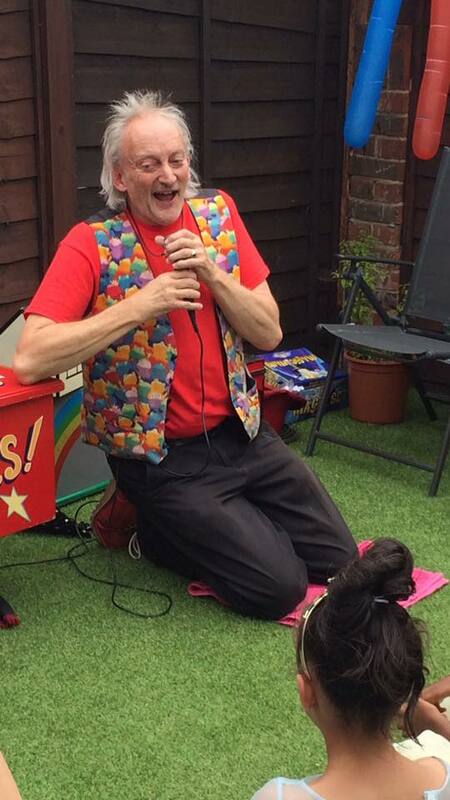 Working with many of the top nursery providers in Kent, Micky has developed a special show for the 4 year olds and under. 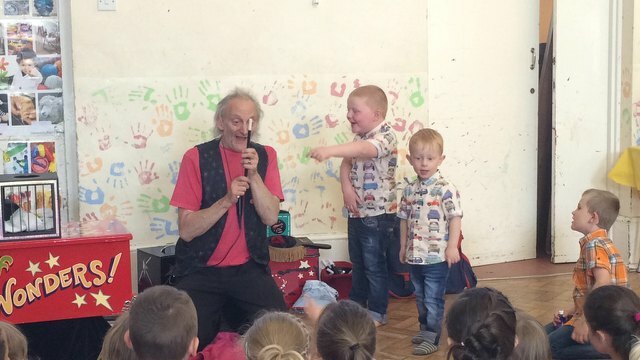 The 40 minute show, ideally suited to 3 and 4 year olds, uses lots of colour and movement, along with his Mr Potty monkey puppet routine, which all children find hilarious. 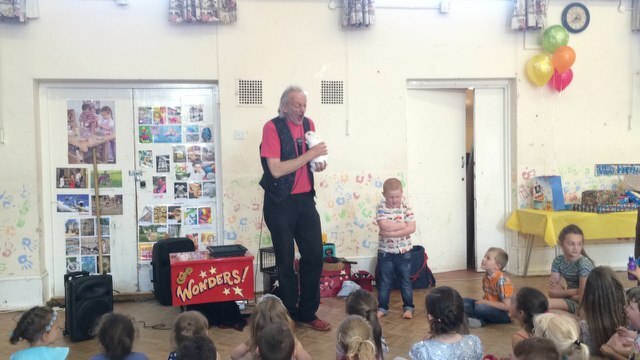 Mickys 1 hour fully participative magic show, for 4’s and over, features quality magic, wonderful balloon models, the production of a real rabbit, a monkey puppet routine enjoyed by all ages, and fun and laughter throughout. 2 Hour Games and Magic Show Spectacular! 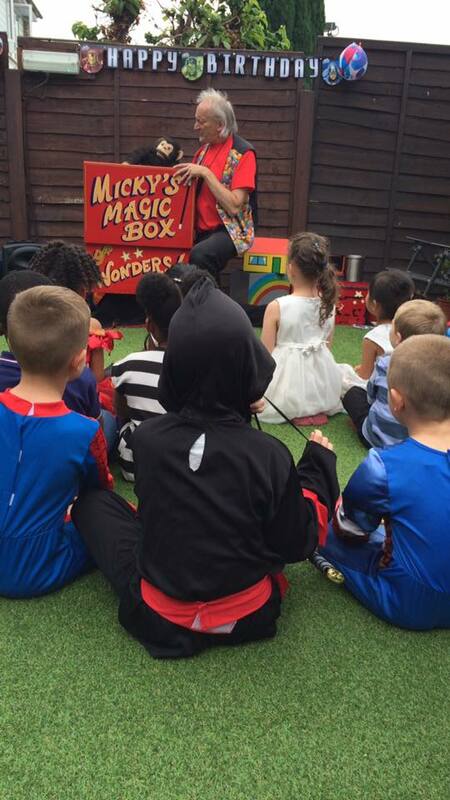 Specially developed to take all the strain and worry out of organising a children’s party, Mickys 2 hour Spectacular means parents can relax and enjoy the show. 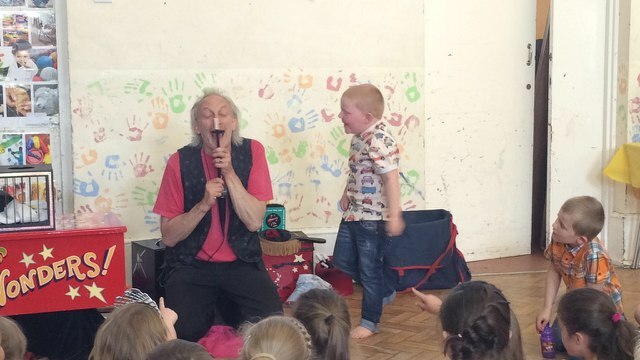 All children receive a magic wand to take home, which is included in the price. 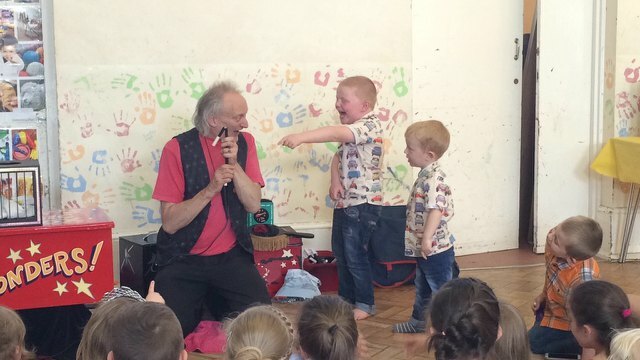 Micky is an exponent of Close Up magic, for adults and children. 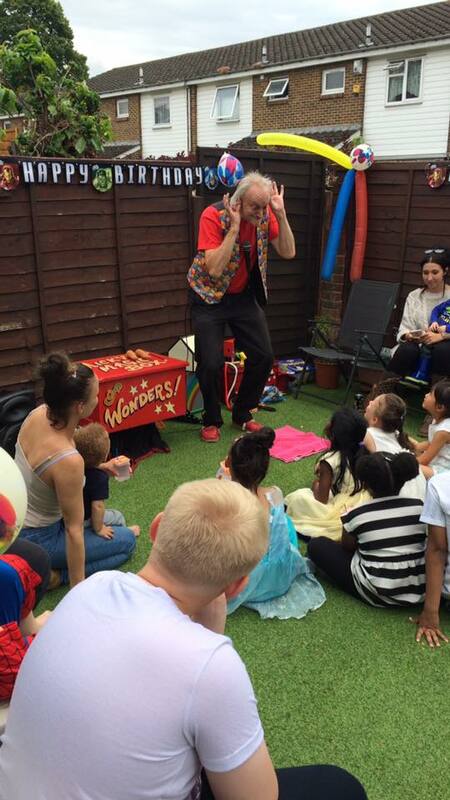 As more of Mickys customers are choosing to hold their children’s parties in restaurants, Micky has developed an exclusive walk about magic experience, leaving children amazed and laughing.